Five states have adopted rules requiring drilling companies to disclose what’s in hydraulic fracturing fluids, but critics say they don’t go far enough to protect public health and the environment. Over the past year, five states have begun requiring energy companies to disclose some of the chemicals they pump into the ground to extract oil and gas using the process of hydraulic fracturing. While state regulators and the drilling industry say the rules should help resolve concerns about the safety of drilling, critics and some scientists say the requirements fall short of what’s needed to fully understand the risks to public health and the environment. The regulations allow companies to keep proprietary chemicals secret from the public and, in some states, from regulators. Though most of the states require companies to report the volume and concentration of different drilling products, no state asks for the amounts of all the ingredients, a gap that some say is disturbing. Others say the regulations, despite some flaws, are moving in the right direction. “It’s just a step in the process,” said the Sierra Club’s Cyrus Reed, who worked on a bill signed into law in Texas on Friday. Most drillers have supported the measures. Some say more complete disclosure isn’t necessary because the information that remains secret involves only nonhazardous chemicals or trade secrets that are a small fraction of products they inject. Energy companies recently have begun voluntarily disclosing some of the chemicals they use on FracFocus, a web site run by two groups representing state regulators. “While we support disclosing our ingredients, it is critical to our business that we protect our recipe,” Tara Mullee Agard, a spokeswoman for Halliburton, one of the world’s largest oil and gas service companies, told ProPublica in an email. Gas drilling has surged across the country over the past few years due to technological advances that include hydraulic fracturing, in which drillers pump millions of gallons of water, sand and chemicals underground to free up trapped deposits of natural gas. Energy companies are increasingly using the technique, dubbed “fracking,” in oil recovery, particularly in Texas and North Dakota. ProPublica first began reporting on health and environmental concerns surrounding fracking three years ago. Gas companies are exempt from federal laws protecting water supplies, leaving it up to states to decide what sort of regulations are needed to protect ground and surface water. Wyoming’s rules are the strongest in place, although it’s unclear how thoroughly they are being enforced. The rules require public disclosure of all the chemicals except for trade secrets, which drillers must submit for regulators’ eyes only. The only thing the rule lacks, critics say, is a requirement to report the concentration of the individual chemicals. Three reports that were selected at random and reviewed by ProPublica appeared to leave out some of the chemicals used. Tom Doll, the state’s oil and gas supervisor, said his agency has two staff members reviewing each of the reports. “They’ve obviously missed some of these,” he said. Some environmentalists and toxicologists say the state rules give energy companies too much discretion. Companies can get trade secret protection, for instance, simply by asserting that disclosure would hurt their business and showing that details about a chemical are not otherwise public. More than 100 such exemptions have been granted in Wyoming, though most of the exempt products haven’t been used, Doll said. Advocates of disclosure say that, at a minimum, proprietary information should be on file with state regulators, as in Wyoming, so it can be accessed quickly in an emergency. Federal law already requires chemical manufacturers to share trade secrets with health care providers in emergency situations, but getting the information into the public domain can be a slow process, said Daniel Teitelbaum, an adjunct professor of toxicology at the Colorado School of Mines. On April 19, fracking fluids spilled during a blowout at a Chesapeake Energy well in Pennsylvania. While no one was directly injured, Brian Grove, a company spokesman, said a full ingredient list was provided to state regulators the following day and to the U.S. Environmental Protection Agency a week after the spill. Chesapeake voluntarily posted the list to FracFocus on May 13. The mixture of fluids used to fracture a well generally contains several different products, which themselves can contain multiple chemical ingredients. While the industry has used hundreds of chemicals to frack wells across the country, the mixture regularly includes ingredients such as hydrochloric acid, methanol, a disinfectant called glutaraldehyde and petroleum distillates. These chemicals usually comprise a tiny fraction of the overall mix, but since wells are injected with millions of gallons of fluid, the mix can include thousands of gallons of a chemical that can be toxic at low doses. Colborn and other toxicologists say one area of concern involves how “nonhazardous” chemicals are treated. Pennsylvania, Michigan and the FracFocus web site only disclose hazardous substances as determined by a product’s Material Safety Data Sheet. Chemical manufacturers are required to list health hazards and ingredients that contribute to those hazards on these sheets, which are filed with the U.S. Occupational Safety & Health Administration. The sheets don’t have to list ingredients that are not considered hazardous, however, or chemicals that may damage the environment but haven’t been shown to harm humans. In determining what to report, manufacturers are not required to do their own testing and may rely on existing research that many toxicologists consider inadequate. OSHA acknowledged as much in a 2004 report on chemical hazard communication. “Even the best available evidence may not provide sufficient information about the hazardous effects or the way to protect someone from experiencing them,” the report said. The report noted in particular a lack of research on chronic health effects. Chris Tucker, a spokesman for Energy in Depth, a drilling industry group, said chemical suppliers evaluate every product, so if an ingredient doesn’t make it onto an safety data sheet, it doesn’t pose a threat to human health. ”That’s why it’s nonhazardous,” he said. There are more than 80,000 chemicals registered for commercial use with the EPA, and Wilson said there is enough research to identify potential hazards for less than 2 percent of them. Researchers with TEDX, Colborn’s organization, have reviewed Material Safety Data Sheets for 980 products used in natural gas production and found that for more than 400 of them, manufacturers listed less than 1 percent of the product’s total composition. “What’s there is what the product manufacturer wants you to know,” Colborn said. Without knowing all the ingredients, she said, it’s impossible to anticipate the chemical reactions that can occur as the products mix and react not only with each other but with whatever is present underground. Colborn and other scientists say that knowing the concentration or volume of the individual components is also important to measure toxicity, and because various concentrations may behave differently as chemicals break down and react with others underground. Texas, Arkansas and Wyoming, while requiring disclosure of all chemicals used, do not require companies to provide the concentrations. 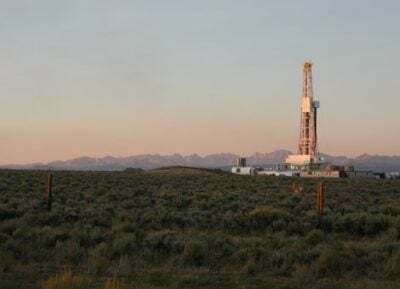 The federal government regulates oil and gas drilling only on federal lands, and Interior Secretary Ken Salazar said in November that he was considering requiring disclosure of fracking fluids for wells under federal jurisdiction. No action has been taken so far. Some environmental groups and members of Congress have pushed for a nationwide database. Currently, drillers are not required to report fracking chemicals to the federal government unless they contain diesel, but the proposed FRAC Act would require disclosure across the country. So far, more than 40 oil and gas companies are voluntarily disclosing some of their chemicals on the FracFocus website. Using the site, anyone can identify individual wells and find out the hazardous chemicals that were injected into them, including the maximum concentration at which they were used. Five states have passed laws or administrative rules requiring drilling companies to reveal some of the chemicals they use when injecting fluids to free natural gas and oil from underground rock formations. Wyoming* All chemicals used in fracking. Volume and concentration of the products are disclosed, but not of individual ingredients in chemical mixtures. Disclosed to regulators; secret to the public. Yes, via state website. Arkansas All chemicals used in fracking. No. Exempt. Yes, via state website. 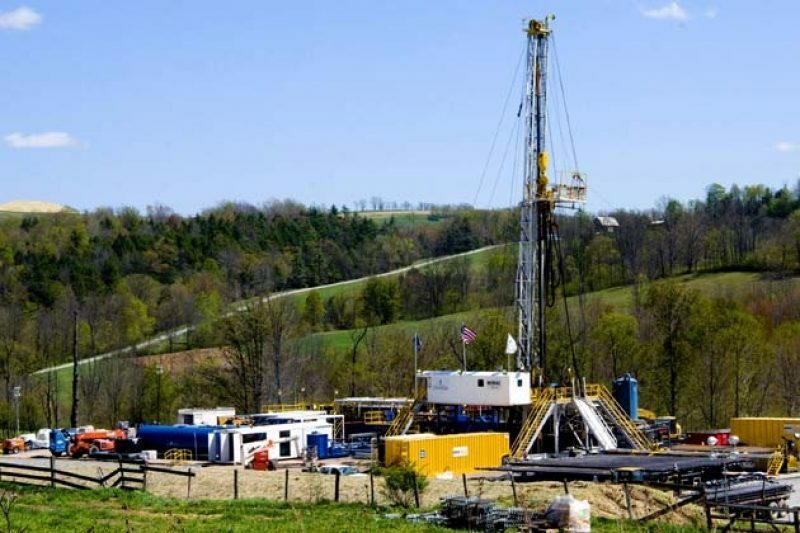 Pennsylvania All hazardous chemicals used at an individual well after fracking is complete. For hazardous chemicals only. Unclear. ** No; available by request. Michigan Must submit Material Safety Data Sheets for hazardous chemicals. For hazardous chemicals only. Exempt. Yes, via state website. Texas*** All chemicals used in fracking. For hazardous chemicals only. To be determined. Yes, via state website and FracFocus, an industry website. * Wyoming was the first state to require disclosure of fracking fluids. ** Pennsylvania officials did not return calls or emails seeking clarification. *** The Texas legislature passed the law in May 2011, but state regulators have until 2013 to complete the actual rules. Correction (June 24, 2011): The original version of this story misidentified Theo Colborn as a toxicologist. Colborn refers to herself as an environmental health analyst. Her doctoral work was in zoology, with a distributed curriculum in water chemistry, epidemiology and toxicology.